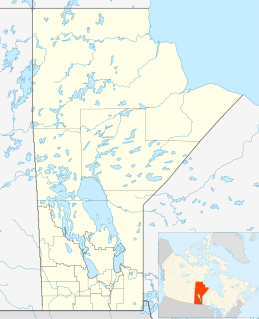 Hamiota is an unincorporated urban community in the Hamiota Municipality within the Canadian province of Manitoba that held town status prior to January 1, 2015. It is located on Provincial Trunk Highway 21 midway between the Trans-Canada Highway and the Yellowhead Highway. Dunbar RFC is an amateur rugby club based in Dunbar, East Lothian. Founded in 1923 they play their homes games at Hallhill Healthy Living Centre, where they moved to in 2001 along with the local football team Dunbar United F.C. and the local hockey, running and squash clubs. They currently compete in the East Regional League Division One. Murrayfield Wanderers Football Club is a rugby union side based in Edinburgh, Scotland. The British Columbia Bears are the senior men's representative rugby team for British Columbia. They were founded in 2009 to compete in the Americas Rugby Championship against other representative teams from Canada, Argentina, and the United States. 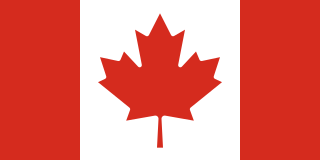 In their inaugural season, the Bears went undefeated in round robin play against other Canadian teams and only fell to the Argentina Jaguars in the ARC Final. Nathan Hines is an Australian-born former rugby union and rugby league footballer. He played representative level rugby league (RL) for Scotland, and at club level for the North Sydney Bears in their Presidents Cup side in the NRL. James Telfer is a Scottish rugby union coach and a former rugby player. As a player, he gained 21 international caps in the amateur era, also having a career as a headmaster at Hawick High School and Galashiels Academy as a chemistry teacher. He won fame as a Scottish forwards coach who gave punishing training sessions to his players. With Sir Ian McGeechan he has had success with both the Scotland national rugby union team and the British and Irish Lions. Seamus Oliver "Ollie" Campbell is an Irish former rugby union player. He played flyhalf for Ireland from 1976 to 1984. He is most well known for his role in orchestrating Ireland's Triple Crown victory at the 1982 Five Nations Championship, breaking a drought of over 30 years. Campbell has been described as Ireland's most complete flyhalf since Jackie Kyle. Edinburgh University Rugby Football Club is a leading rugby union side based in Edinburgh, Scotland which currently plays its fixtures in the Edinburgh Regional Shield competition and the British Universities Premiership. It is one of the eight founder members of the Scottish Rugby Union. In the years prior to the SRU's introduction of club leagues in 1973 and the advent of professionalism in the 1990s, EURFC was a major club power and it won the 'unofficial' Scottish Club championship several times. It remains a club with an all-student committee, and is only open to students of the University of Edinburgh. Ian Evans is a former Wales international rugby union player. Since 2017, Evans has been on the coaching staff of the Newport Gwent Dragons. Nick Popplewell is an Irish former rugby union player who won 48 caps for his country between 1989 and 1998. He played club rugby for Greystones RFC, wasps RFC, Newcastle Falcons and also captained leinster rugby for a season. At Newcastle he made 19 appearances as they won the 1997-98 Premiership. He started all 3 tests for the British & Irish Lions on the tour to New Zealand in 1993, and was seen as one of the stars of the tour. After retiring from rugby, he became an estate agent, and gained a masters degree in business studies. Clive Williams is a former Wales international rugby union player. He toured twice with the British and Irish Lions, to New Zealand in 1977 and to South Africa in 1980. David Howard Burcher is a former Wales international rugby union player. He was capped four times for Wales in 1977 and that same year he toured New Zealand with the British and Irish Lions, playing in one international. Burcher played club rugby for Newport RFC. Noel Arthur Augustine Murphy is a former Irish rugby union player who represented Munster, Ireland, the British Lions and the Barbarians as a flanker. He also played club rugby for both Cork Constitution and Garryowen. Since retiring as a player, Murphy has remained involved in rugby union, both as a coach and administrator. Raymond John "Ray" McLoughlin is a former Ireland international rugby union prop. McLoughlin had a long and successful career playing for several clubs at club level, and played for Connacht at provincial level. He was selected for two tests with the British Lions, and played for invitational tourists the Barbarians. Paul Michael Dean is a former Irish international rugby union player. He toured Australia in 1989 with the British and Irish Lions and at the time played club rugby for St. Mary's College RFC. Derek Bolton White is a former Scottish international Rugby Union No.8. He was once described as "a big bulky back-row with pace and a mean streak"
William Joseph Roche was an Irish rugby union player who represented Munster, Ireland and the British Lions. He also played club rugby for both University College Cork and Newport. Ivor Preece was an English rugby union footballer who represented and captained England Schools, England and Coventry. He is the only Coventry RFC player to have achieved this accolade. He was selected to play with the British and Irish Lions, on their tour to New Zealand and Australia in 1950. Alexander "Alec" Boswell Timms was an Australian-born international rugby union forward who played club rugby for Edinburgh Wanderers and Edinburgh University. Timms played international rugby for Scotland and was selected for the British Isles team on its 1899 tour of Australia. Frederick Charles Belson was an English international rugby union forward who played club rugby for Clifton and Bath, and county rugby for Somerset. Belson played international rugby for the British Isles on their 1899 tour of Australia. The 2013 mid-year rugby union tests were international rugby union matches that were played in June 2013, mostly in the Southern Hemisphere. Ranald Macdonald was a Scotland international rugby union player who played for Edinburgh University. Normally a fly-half, he also played at centre and on the wing.